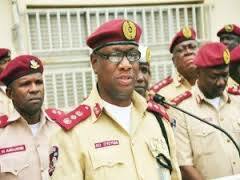 Easter: FRSC boss warns motorists against speed violation – Royal Times of Nigeria. 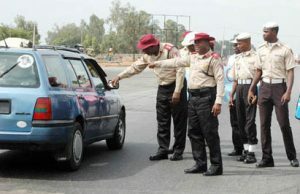 THE Corps Marshal and Chief Executive of the Federal Road Safety Corps (FRSC), Dr Boboye Oyeyemi has advised Nigerians, especially motorists to adhere strictly to traffic rules and regulations during the Easter celebration to ensure safe and hitch free movement of people. Oyeyemi in his Easter message made available to newsmen on Thursday in Abuja, expressed concern about the high rate of speed-related crashes being recorded in the country.While congratulating all Christians on the celebration, the Corps Marshal urged all road users to observe traffic rules and regulations for crash and obstruction-free festivity. Oyeyemi, who noted that most accidents on the highways were speed-related crashes in the country, called for concerted efforts by all concerned to avoid death and injuries that characterise festive period. FRSC says members of the public can report emergency cases to the FRSC Call Centre through its Toll-Free line: 122 or 0700-CALL-FRSC-0700-2255-3772 for prompt response. The Corps Marshal specially identified Kaduna-Abuja road as one of the corridors where recurrence of speed-induced crashes is still worrisome, thereby undermining the safety campaigns of the Corps. He, however, assured Nigerians that appropriate measures were being taken to address the menace. The Corps Marshal said as part of the strategies for effective management of traffic during the celebration, adequate personnel and logistics provisions have been made and 104 commands identified. He added that all Zebra formations/Road Traffic Crash Clinics as well as necessary rescue and enforcement logistics of the Corps have been mobilised to ensure that the fifteen (15) minutes response time to distress calls is achieved. He directed all the FRSC Field Commands to collaborate with other security agencies to ensure effective management of traffic during the celebration.